With its narrow footprint and 72" extension pole, this light goes almost anywhere with 3600 lumens of bright white light. And it's tough, thanks to its high-impact thermoplastic housing and O-ring sealed, unbreakable polycarbonate lens that also has a scratch-resistant coating. It's powerful, too, thanks to six C4® LEDs and wide-pattern reflectors that produce a uniform flood pattern (with two selectable beam widths and three light output intensities). It also has selectable diffuser settings for two beam widths that work with all three modes-High, Medium, and Low. Other standard features include optimum peripheral illumination for scene lighting, 90° swiveling head, and a Switch Toggle for different power options (internal or external). 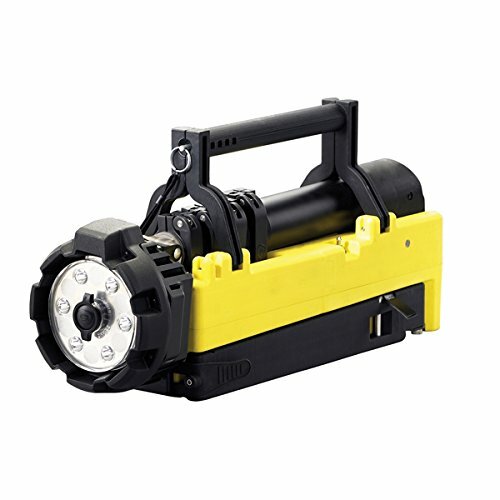 IP67 rated, dust-tight, and waterproof to 1 m. AC charger included. 22"L x 11"H x 6 1/2"W. Yellow/Black.